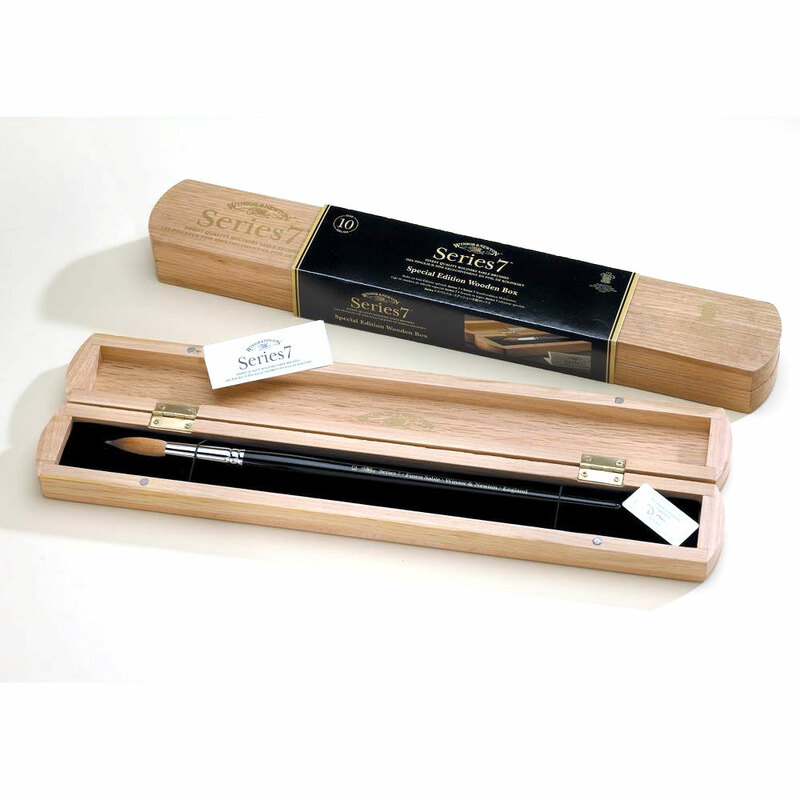 Normally only the larger sizes (11 & 12) of Series 7 Brushes available in wooden presentation boxes, but for our Sale we have a selection of smaller sizes (8, 9 and10) also available in these beautiful wooden gift boxes. They make a special gift for any watercolour artist. We only have limited stocks of the wooden presentation box for each size and they will no longer be available once we have sold them.